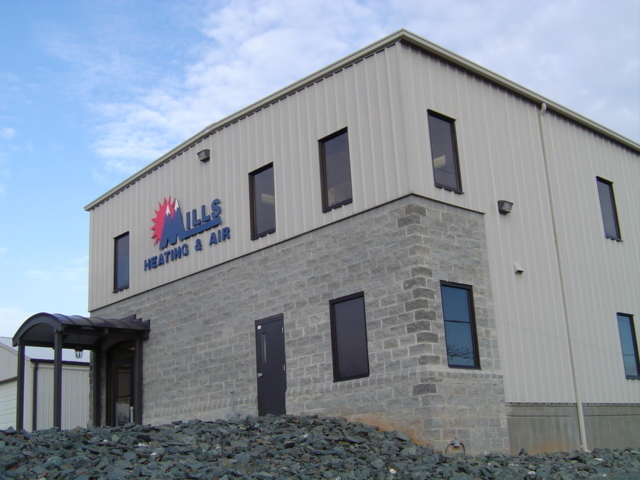 The Mills Heating and Cooling main offices are located in Spout Spring Virginia off of Richmond Highway(US-460) between Lynchburg and Appomatox. We proudly serve communities within a 50 mile radius of our offices including but not limited to Lynchburg, Appomatox, Goode, Stonewall, Bedford, Evergreen, Monroe, and surrounding areas. If you aren’t sure your location falls within our service area or you are just outside of the areas we primarily service, please give us a call ahead of time and we will be happy to see if a technician is near your area or scheduled to be in your area soon so we can address your home comfort needs. If you need after-hours HVAC service, please call our 24/7 emergency number (434) 993-2804 and an MHAC technician will be assigned to your request as soon as possible.